The new Mustang GT has been completely redesigned. Ford took care to listen to drivers and added in multiple performance settings, allowing you to customize your drive as specifically as you. This includes new settings for the engine and exhaust as well. 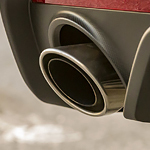 There are five performance settings, and four settings for your exhaust with the Active Valve Performance Exhaust system. Is the Ford EcoSport Rated to Tow Trailers? 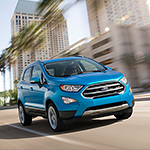 The suspension and pulling power built into the Ford EcoSport allows the vehicle to tow a 1,400-pound trailer if the car is equipped with the Turbocharge 1.0-Liter engine. 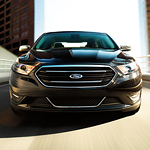 The Ford Taurus combines high quality materials and stylish designs to create one of the most versatile cars on the market. With features like heated seats, a heated steering wheel, cooling seats, and a Sony stereo system, the Taurus offers a comfortable and entertaining ride. 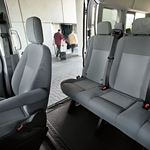 For added comfort, both the passenger and driver can choose their favorite temperature settings allowing everyone to be comfortable. The Limited and SHO versions of the Taurus both offer ambient lighting features that light up footwells, cupholders, and door handles. 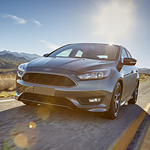 The new Ford Focus is ranked as one of the top compact cars on the market. This is because the creators of this new vehicle took their time to make sure this vehicle would live up to its expectations, and all of the reviews for this vehicle have been phenomenal. The Ford Explorer is one of the American automaker’s best creations yet. The midsize SUV is award-winning and ranks in the top midsize SUVs, according to US News & World Report. 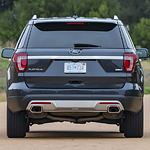 With good performance overalls, tons of new performance features, and solid engines, you can expect the performance to exceed your expectations in this tough, sporty SUV. The base engine on the Ford Explorer puts out 290 horsepower. The 3.5-liter V6 engine comes standard with six-speed automatic transmission. However, you can upgrade the engine if you want more power. When Lithia Ford of Missoula took possession of the all-new Ford C-Max, our team couldn't wait to showcase some of the best features. Here are a couple smart features that attribute towards the popularity of this compact hybrid. The Ford F-150 appeals to customers who'd like to embark on off-road adventures. This award-winning pickup truck is available in seven editions at Lithia Ford of Missoula. 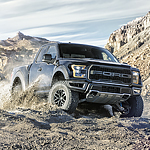 Priced at slightly more than $52,000, the 2019 Raptor is one of the most capable and durable models in its class. First of all, this vehicle runs on a twin-turbo engine block that yields 450 horsepower. The EcoBoost technology helps the V6 powertrain produce 510 lb-ft of peak torque. If you've made the decision to buy a new car, consider the Ford Flex. The Ford Flex is one of the popular cars seen on the roadways of Missoula today. 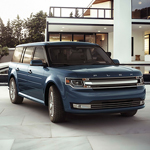 There are a number of reasons why this car garners high marks, including the Ford Flex technology features. Detailed information on these features is available at Lithia Ford of Missoula. If you are in the market for a 2019 vehicle, you should consider a Ford. 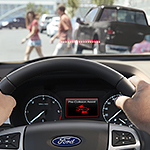 In 2019, the manufacturer will launch the Ford Co-Pilot360, which is a host of standard driver-assist technologies that will be available in Ford cars, SUVs, and trucks. 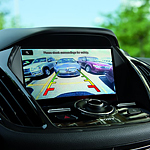 At Lithia Ford of Missoula, we want to keep you informed about all that our vehicles offer, so you can read about the Ford Co-Pilot360 below.